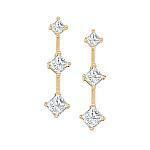 1 Carat Total Weight Three Stone Diamond Earrings - This stunning earrings features three diamonds amounting to 1 carats. 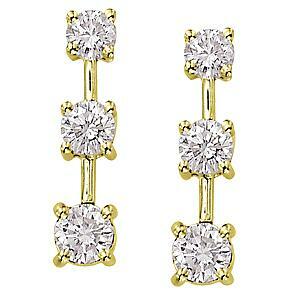 The stones are set in 14 karat yellow gold and make a beautiful gift for any occasion. Matching pendant also available.